A CULINARY EXPERIENCE SEASONAL CUISINE With a culinary team dedicated to sourcing and preparing fresh ingredients from Virginia’s Piedmont region and bountiful South, The Red Fox Inn & Tavern is proud to present dishes that combine time-honored cooking techniques with alluring seasonality. Locally sourced produce plays a key role in the creation of sumptuous yet refined cuisine, where classic recipes employ the traditional methods of smoking, braising, and roasting. From simple, home-style fare to plates that blend flavor and finesse, the Inn offers genuine yet thoughtful food and beverage options designed to entice and delight. Whatever the vision, The Red Fox Inn & Tavern’s expert culinary team will gladly craft the perfect seasonal menu for a special event. ASSORTED LIBATIONS All fine food deserves to be accompanied by a perfectly suited refreshment. From handcrafted aperitifs to aromatic after-dinner coffee, every beverage is carefully procured by the Inn’s experienced staff. The Red Fox Inn & Tavern’s unique selection of wine and beer encompasses an extensive choice of libations. 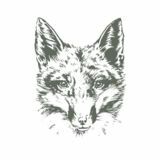 From local vintages that pay homage to the Inn’s extraordinary location afoot the rolling hills of Virginia’s wine country, to craft beer sourced from the far reaches of the world, The Red Fox Inn & Tavern has a beverage to suit even the most discernible of palates. 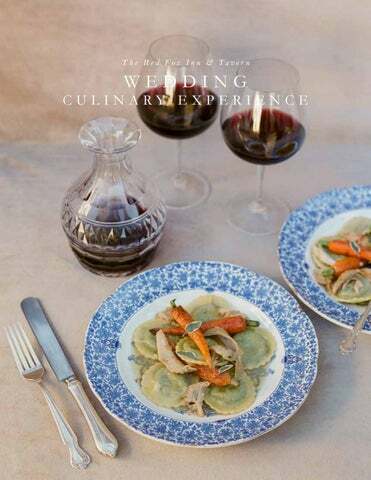 Designed to impress guests from the moment they arrive, The Red Fox Inn & Tavern’s Wedding Collections combine a thoughtful and encompassing compilation of food and beverage options. From handcrafted sips during cocktail hour to indulgent coursed dinners and beyond, food and beverage has, and continues to be, an essential component of a Red Fox Inn & Tavern fĂŞte. With an abundance of food and beverage options comprising seasonal ingredients, local harvest, and Southern flair, the Inn offers an unforgettable culinary experience from beginning to end. Coupled with its illustrious history and picturesque setting in the quaint village of Middleburg, a wedding at The Red Fox Inn & Tavern blends all the necessary elements and more, for a celebration to be remembered.